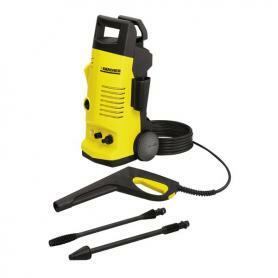 Kracher 2.98M High Pressure Washer for rental at only $40.00 per day. This high pressure washer weight at 10kg, comes with trigger gun, high pressure hose of 6m, vario-power spray lance, dirt blaster and integrated fine mesh water filter. To rent, $250 fully refundable deposit is required. For first timer, there is a registration fee of $10. One day notice is required before booking. Log on to www.estore.com.sg to discover range of rental products! Location: Blk 1, Yishun St 23, YS One Building #01-13.